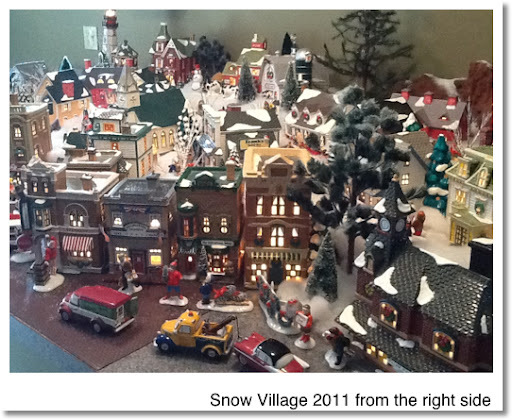 Well we have set the 2011 version of our Snow Village up and are officially almost ready for Thanksgiving. 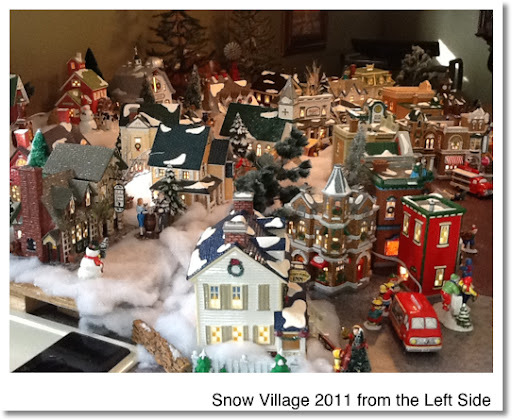 The idea is to get the Snow Village set up on the Saturday before Thanksgiving--and we actually accomplished that yesterday. This year it seemed to be a bit more difficult to set up since we used a new place and a new configuration. But, we got through it and had some fun while playing two movies in the background: The Santa Clause and The Polar Express. I am continually amazed at how the city looks so real after we add the people to it. It really seems to come to life and provide that festive addition to the house for the holidays. 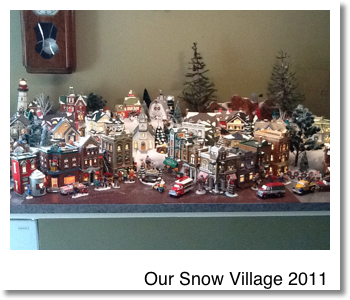 This edition of the Snow Village will be with us from now until January. So I am glad that I like it. If only we can keep Riordan out of it.